We work with your business to get great results through your people, engaging, developing and inspiring them to be the best they can be. We work with our clients to really understand their business challenges, and to identify leadership strategies and approaches that will benefit the business, the leader and the employee. Whether you need one-off support to help with a particular issue, or a longer term commitment to developing your organisation’s effectiveness, Mitchell Palmer can deliver practical solutions that are tailored to your business needs – so they work for you. 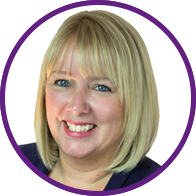 Debbie has background as a senior HR generalist with experience across FMCG manufacturing, supply chain, retail, public sector and support service organizations. She has led and supported significant business change projects in the UK and internationally and developed a strong background in change management, employee engagement and organization development. She is a qualified coach, has an MSc in Business and Occupational Psychology and is a published author, with books on employee engagement and employee wellbeing. Debbie is also a public speaker and researcher on issues related to engagement and corporate psychopathy.